Ella Fitzgerald, jazz singer, whose voice was perfectly suited to the lively sounds of jazz in "Oh Lady Be Good". She never sang the blues; sad, world-weary feelings that were part of the blues seemed to be foreign to her. She preferred to have her music lift one's spirits. Even in third grade, Ella Fitzgerald was passionate about dancing. She was a fan of Earl "Snakehips" Tucker, an American dancer and entertainer. Also known as the "Human Boa Constrictor", he acquired the nickname "snakeships" via the dance he popularized in Harlem in the 1920s called the "snakeships", Tucker. 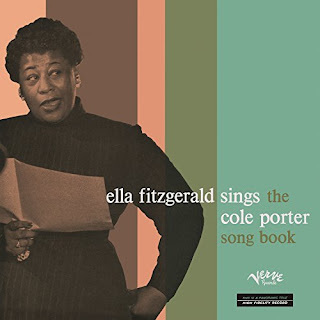 The church provided Ms. Fitzgerald with her earliest experiences in formal music making, and she may also have had a short series of piano lessons during this period. Some of this lift came from Fitgerald's masterful technique, but much of it came from her personality. The feelings that she translated into music and passed on to her listeners were a result of the kind ofOh, Lady Be Good ", was awfully misunderstood, a lovely lady, lonesome babe in the wood, and very... uncomplicated. person she was. Ella Fitzgerald as in the words of "
She never sought refuge in drugs, liquor, or fast living. She remained one of the few singers for whom the typical jazz lover might consider ideal if such a state was, indeed, possible. Along with her singing, devotion to her goals, that included one of the busiest careers in show business history, is an achievement that continues to be widely appreciated throughout the world. Ella Fitzgerald was a gifted singer, musician, and artist. She was presented with a Grammy Award in 1962 marking the seventh time that she was named top female jazz vocalist of the year. Ms. Fitzgerald was named Woman of The Year by Harvard University's Hasty Pudding Club in 1982 and awarded an honorary Doctor of Music degree by Yale University in 1986. The First Lady of Jazz , The First Lady of Swing , Lady Ella, Queen of Jazz , First Lady of Song , Ms. Ella Fitzgerald, April 25, 1917 - June 15, 1996. For the memories..."Oh, Lady Be Good "